For three years at Connelly Partners I served as the creative lead on the Ocean Spray interactive business. We worked with Arnold Worldwide (gen adv) and Webber Shanwick (pr) in creating a holistic campaign across all disciplines. The effort won a Silver Effie. 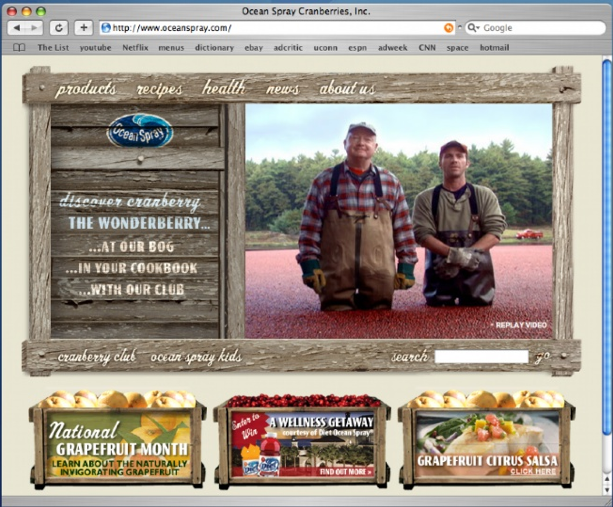 We completely rebuilt oceanspray.com to bring the folksy, local farmer feel to it. The entire site was re-written, re-imagined and redesigned. Ocean Spray's foodservice B2B site was dated and didn't match the brand. We recreated it using the iconic Ocean Spray pickup truck, Earl, as our silent spokesperson. This was surreal. 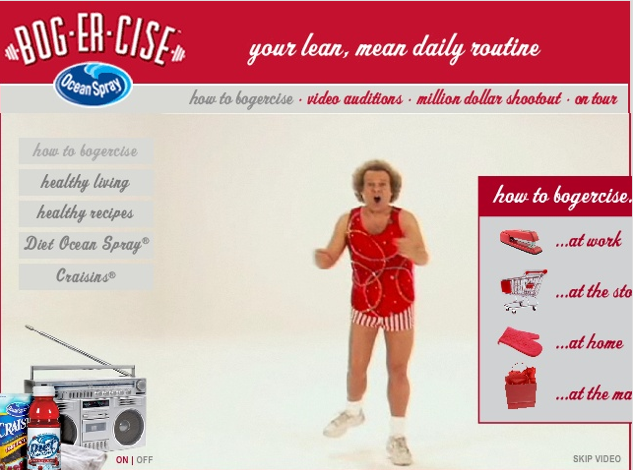 Two days with Richard Simmons creating videos for tips to live healthier lives, including using Diet Ocean Spray products.